The Creative Passport is the premium digital identity standard for music makers and music related services, opening the door to endless creative and commercial opportunities. It is the place we want everyone to go to to connect, trade and collaborate - fairly, democratically and transparently though our music data. How do people and brands search for you online? How do people who don't know you discover information about you? Who uploads the information and is it accurate? 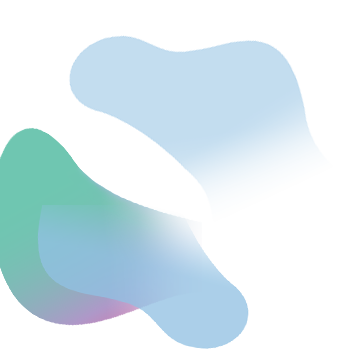 Today, all information pertaining to us as music makers - discographies, biographies, IDs, photo press kits, representatives, contacts etc in short; our data - can be found all over the place and, in some instance, not found at all. This is creating a huge data mess, impacting how and when we get paid and creating missed opportunities, both financially and creatively. 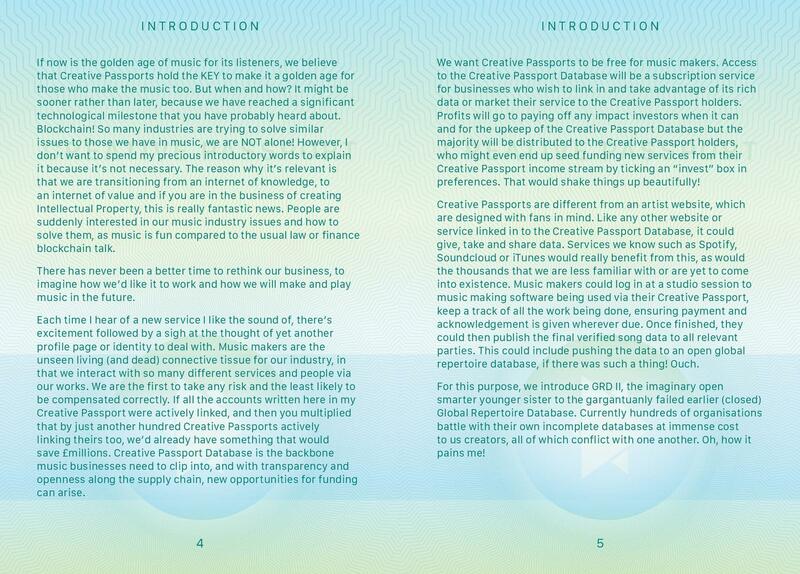 Welcome to the Creative Passport - the premium digital identity standard for music makers. A database which contains verified profile information, partnerships and payment mechanisms for your data, it enables visibility through searchability. Allowing you as a music maker to both control and link your works and data, it presents your professional information in one trusted place for anyone in the industry to both access and use. Signing up to The Creative Passport is simple and will help both generate new business opportunities and better manage your data, minimising the risk of losing out on the payments that your creativity and hard work has entitled you to receive. $45billion dollars is generated globally by the music industry each year. According to a study by Berklee, intended rights owners are missing out on between 20% and 50% of the money they should be making. 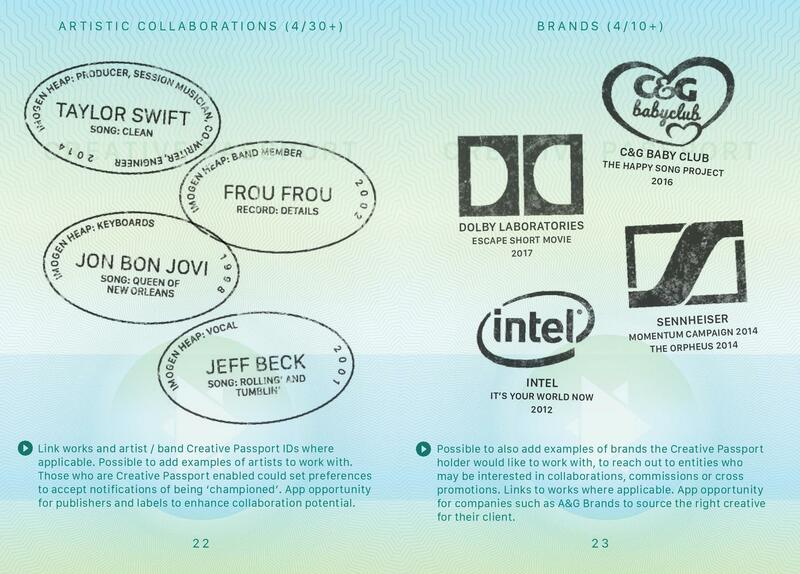 The Creative Passport is the premium digital identity standard for music makers. A database which holds verified profile information - discographies, blogs, IDs, representatives, photo press kits, business partners and payment mechanisms, it helps get music makers and their works, linked and open (data) for business. What it isn't is a streaming platform or distribution channel. The Creative Passport is free to music makers. It is a way for us to own our data and for brands looking for music for their projects to find us. Businesses which wish to access our data will pay a small subscription and there will also be paid add ons for specific tasks. All profits generated will go to the upkeep of the Creative Passport service and to Creative Passport holders. We are currently Alpha-Testing the Creative Passport App. If you want to receive a notification when the Beta Version is going to be ready to download sign up HERE . If instead you want to join The Creative Passport mailing list, please email tech@creativepassport.net. The Creative Passport plans to use emergent blockchain technology, featuring template, 'smart contracts’, to enable quick and easy direct payments, simplifying and democratising collaboration, from meaningful commercial partnerships to creativity. In a world where all music is on the blockchain, in the future, and through the Creative Passport, you will be able to track when, where and how your music files were downloaded. 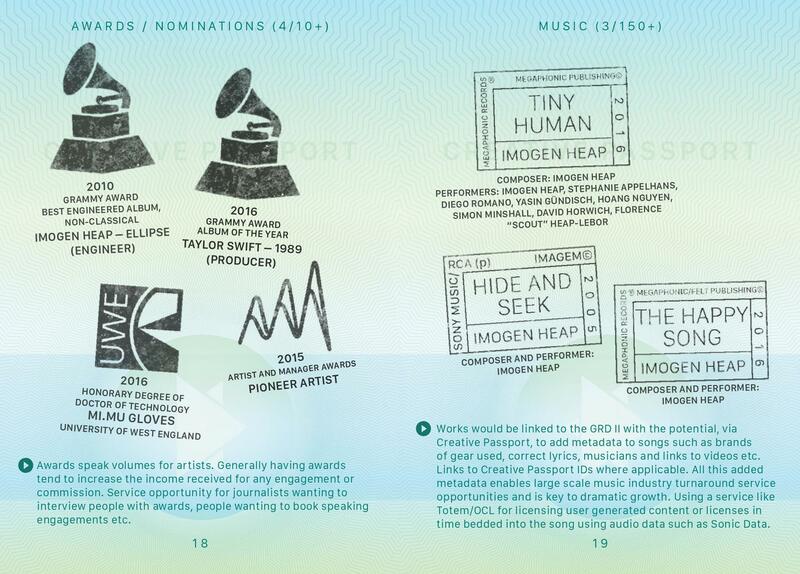 The Creative Passport has been created for music makers: composers, musicians, songwriters, producers, audio engineers, sound artists … you name it! Designers, authors, filmmakers are also enquiring for the future, which will open up further opportunities. Yes… or No! The holder can set up various kinds of access and permissions in the settings, allowing their team and/or representatives to act on their behalf. Only the Creative Passport holder can allow these kinds of permissions. The final visible data needs to be correct and verified, (though parts of it could be crowdsourced to begin with, eg lyrics etc). Based on the permissions given, the data will be free for non-commercial purposes, this means that fans, for example, can access all the data for free. For 3rd party services willing to use the Creative Passport on commercial basis and license the data contained in its Database, they will pay a fee to get access. All money generated will be spent on upkeep costs only, with the rest distributed directly to the Creative Passports’ holders. Is the Creative Passport free? 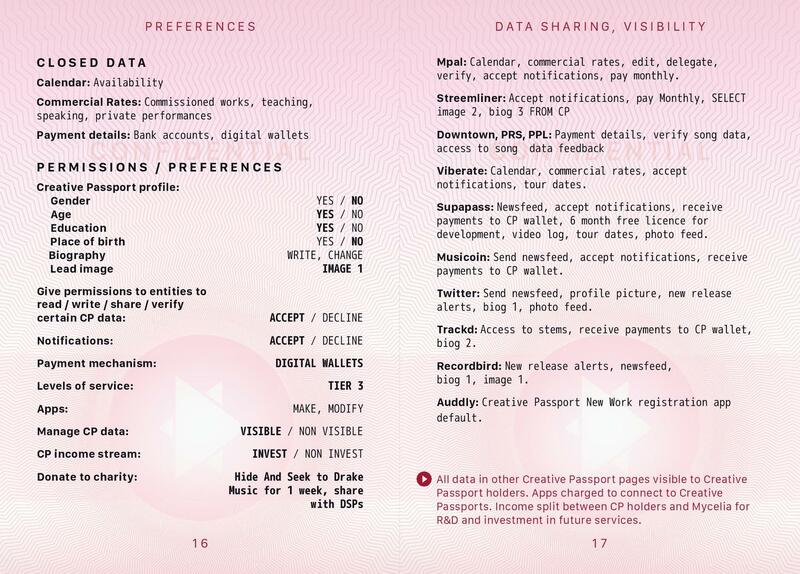 Yes, the Creative Passport will be for free for all music makers and fans interested in exploring the data. We may at some point charge for add ons. 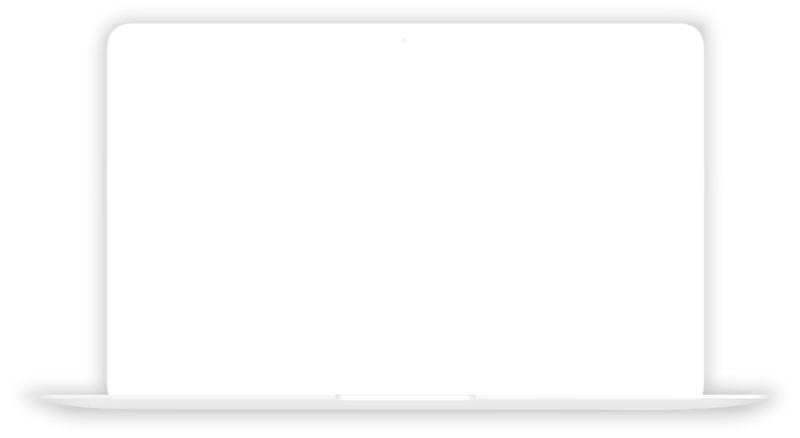 Mycelia is a non-profit company and this is our gift to you. 3rd party services using the data contained in the Creative Passports for commercial purposes will pay a fee to obtain access to it. For three years we shared our ideas and, in 2018, took the Creative Passport into its development phase. We are currently Alpha-Testing the Creative Passport App and using it to develop, refine and get more music makers and services excited about seeing it come to life, which will happen in the first half of 2019. To receive a notification when the Beta version of the Creative Passport is ready for download, sign up HERE. When will the Creative Passport be available? The aim of the Creative Passport is to link up and be a beacon for all of the correct data about yourself, your work, your songs and your collaborations. It’s a business to business solution, linking to hundreds of 3rd party services and representatives. You keep your Creative Passport up to date and you give the world a fighting chance to keep up with you! We are working with a number of different business partners which have come on board to provide both technical and marketing support for the Creative Passport. These include organisations such as IBM, Sitra and Evenym. We encourage any prospective partners to get in touch for more information and / or to discuss new opportunities. What other businesses are working with The Creative Passport? The transactions that occur from these new income streams will ultimately be supported by blockchain technology and smart contracts to enable transparency and quick payment to all users of the Creative Passport. As a music maker, discovering smart contracts on the Ethereum Blockchain changed Imogen Heap's life. As a result, we have been exploring lots of blockchain solutions and, in parallel, refining our purpose in what we believe to be essentially missing in the music ecosystem. The Creative Passport was born out of this purpose. Interoperability between the Creative Passport and the other services to which it is connected is key for the whole industry, as is the need for flexibility. At the moment the Creative Passport is not 'smart contract' enabled, however this is very much in our plans for the future. We will share more information as it becomes available. An individual's digital identity arises organically from the use of personal information and data created by actions displayed online. Currently each and every website and app is trading data information on of all our activities. As music makers every song and project we take part in, and how others interact with us, is valuable data. It is important therefore that we own - or at the very least have access to and control - our data. 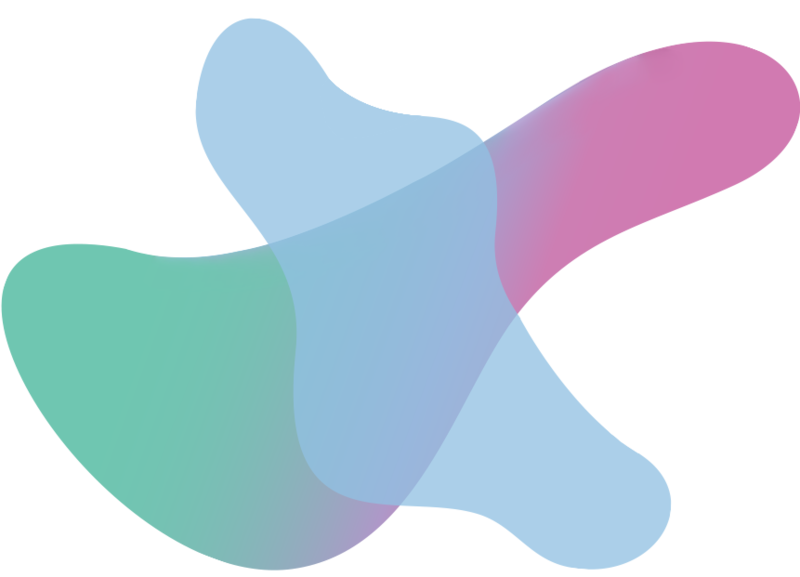 The Creative Passport - as a digital identity standard - provides one single place where anyone can to go to to connect, trade and collaborate with us in a fair, democratic and transparent way. What is a digital identity standard? How old do you have to be to have a Creative Passport? The Creative Passport is available for people aged 13 years old and above.